Boot Style Options: the Tops, the Pulls, the Tongues, the Toes, the Heels, more Options and Color Options. Pricelist. 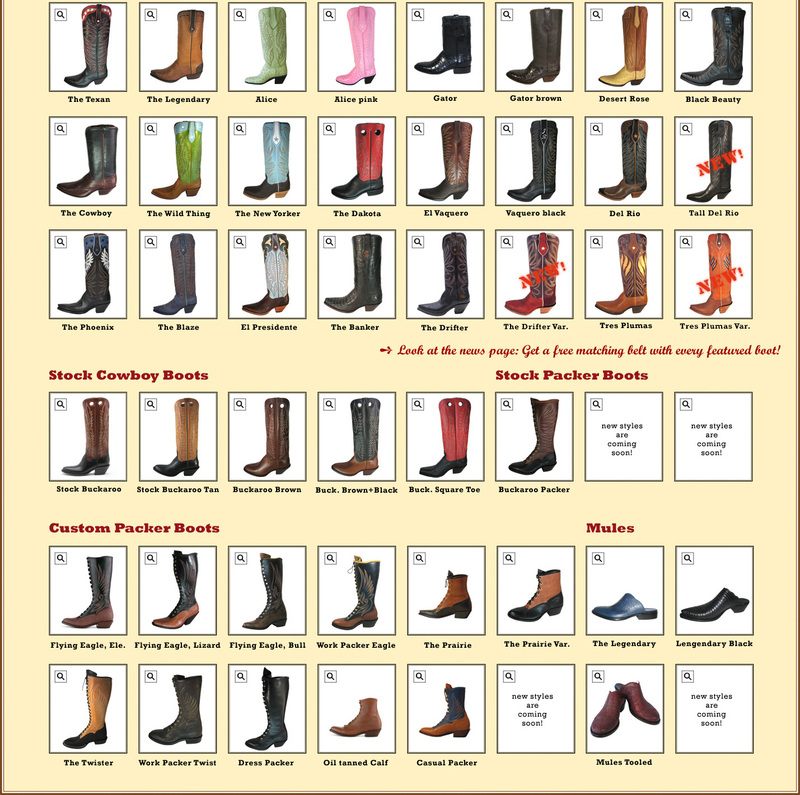 How to Order: "Order Form (Size Legal B)" or "Order Form (Size A4)"
Legendary Boot Company is truly a custom bootmaker, seldom are any two cowboy boots that leave our shop exactly alike. Although we have standard styles, you can make changes in color and type of leather, toes, heels, height of the top and top shape and design. 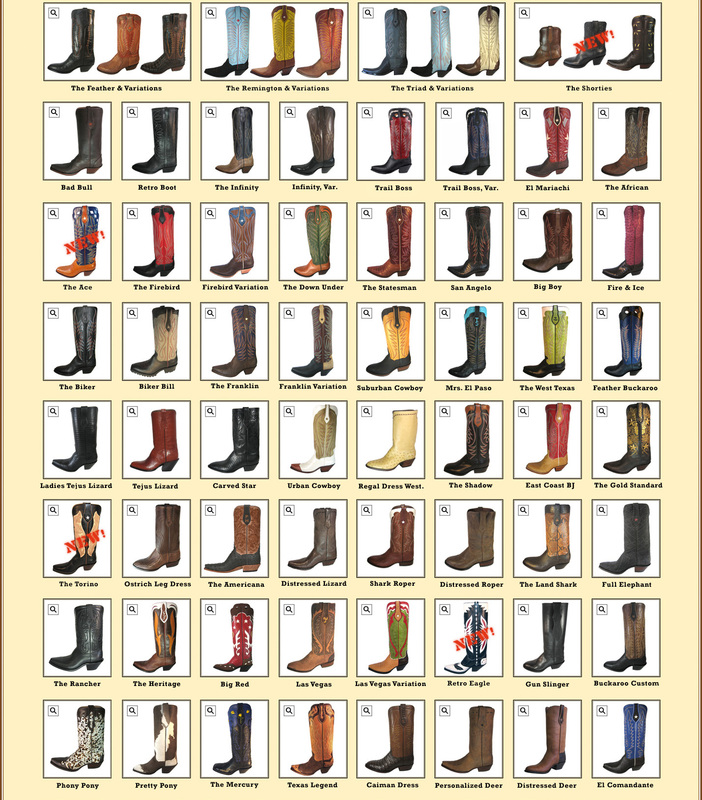 Many of these selections are on the order form and won’t change the price of the boot. We will be happy to send you leather swatches of any leathers we offer and will try and find other leathers of your choice that are available. 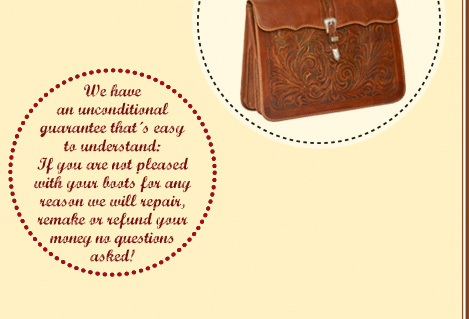 If your changes affect the price we’ll contact you before we start your cowboy boots. Special design projects are also available at Legendary Boot Company, we can make boots with brands or your company logo as well as inlays, tooling, just about anything you can imagine. Give us a call with your special needs and ideas and we will work out a price and get started on your one of a kind boots.